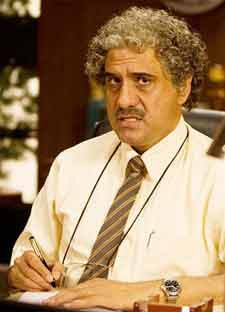 It needed a loo encounter with Boman Irani for poet Javed Akhtar to realise that Viru Sahasrabuddhe aka Virus, the eccentric and quirky professor in "3 Idiots" was not modeled on him. "I met Javed Akhtar in the loo during an awards function. He asked me whether I was imitating him in the movie and I said 'No'," Boman told reporters here. He was speaking during an interactive session conducted on the sidelines of the 41st International Film Festival of India (IFFI). "Everybody thought that my character was inspired by Javed Akhtar's talking style in the movie, but it is not true," he further said, while speaking on the evolution of comedy in Hindi films. Instead, Boman said that Virus' lisp was in fact a hark back to the days when he was a shy child with an obvious lisp. "I had a problem with speaking right from the childhood. I used to lisp. When I was child, I never spoke. Teachers used to write remarks on my note book. My mom sent me to a trainer, I started talking and it gave me a confidence," he said. Revealing his personal story and his late debut as an actor, Boman said that he started off as a waiter at the Taj Mahal hotel in Mumbai and then for a while did a stint shouldering his family business, adding that he was 40, when he was offered his first acting job in a Hindi film. "I have also done theatre in Mumbai," he said.